Wanna fight like a Manji?! T-T-This is absolutely awesome video! 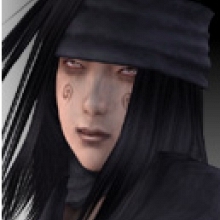 The guy playing Yoshimitsu! 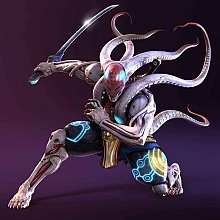 Now you see that Yoshimitsu's fighting style isn't impossible to learn! Hilarious and great. Absolutely saved my day! id like to see him go into DGF stance. But anyways; Stuff like DGF and such is, maybe, only possible AFTER the installation of a robotic arm, i guess? UnknownDNA : But anyways; Stuff like DGF and such is, maybe, only possible AFTER the installation of a robotic arm, i guess? Money..? No prob..! Just, do as Yoshi; Steal the money from the Mishimas!